Today everyone is familiar with the power of brands. Managed well, they can develop strong biases amongst customers for the product or service, resulting in greatly increased revenues and profits. Managed badly, they can destroy a product or an organization. A jewelry retailer in the UK had grown, in six years, from having 150 stores to more than 2,000, with 25,000 staff and annual sales of £1.2 billion. Then at the Institute of Directors conference at the Royal Albert Hall in 1991, he told an audience of 5,000 business leaders the secret of his success. Describing his company’s products, he said: ‘We also do cut-glass sherry decanters complete with six glasses on a silver-plated tray that your butler can serve you drinks on, for £4.95. People say “How can you sell this for such a low price?” I say, because it’s total crap.’ As if that were not enough, he added that his stores’ earrings were ‘cheaper than a prawn sandwich, but probably wouldn’t last as long’. It was a joke that he had told before but this time it got into the press. Hordes of people queued at his stores, immediately that word got out, to return everything from earrings to engagement rings. The company was destroyed. The identity of a brand emerges through communication backed up by a promise to customers. That promise can be a promise of quality or service or innovation or style. Or it can be much less tangible: “people like you buy this product”, for example. Early in my career, I worked for a company that was in the business of manufacturing and marketing edible oils and fats – margarines, cooking oils and cooking fat. When first developed, margarine was simply a substitute for the butter that was in short supply in the UK during wartime. But when butter once again became plentiful, the product needed to offer other advantages to the consumer. Research focused on methods to improve the quality of margarine–such as making it easier to spread, more flavorful and more nutritious. At the time there were many brands all focused on a specific niche which together amounted to something like a 95% market share. Stork Margarine was promoted as a low cost butter substitute for working class households, Blue Band Margarine was positioned slightly up-market, Tomor Margarine for the kosher community, Flora Margarine was marketed as recommended by doctors as being good for the heart and so on. Today, Unilever continues to market these brands, amongst many others, successfully although the positioning may be a little different. Creating, managing and communicating brands is not inexpensive but the rewards can be significant. There are three critical activities that must be done well. The brand must be protected, policed and promoted. Protection starts with ensuring that the brand is trademarked but it does not end there. Consistent and correct usage of the brand is essential – without that, a trademark can be challenged and the value of the brand and all that has been invested in it can be lost. Policing is about identifying and preventing unauthorized or incorrect usage of the mark by others. Unauthorized usage can range from organizations using the brand to market their own products or services, all the way up to counterfeit copies of the branded products. Cellophane is a registered trademark in the UK and other countries, and the property of Innovia Films. However, in many countries “cellophane” has become a generic term, often used informally to refer to a wide variety of plastic film products, even those not made of cellulose,such as plastic wrap, thereby diminishing the value of the brand to its owner. There are several other well-known and valuable marks that have been lost through becoming generic – mostly due to the brand owner not insisting on correct usage. Promotion begins with identifying the target market, articulating the brand promise and the key purchase factors and benefits. The target market can be consumers or organizations but at the end of the day, people buy products or services or vote for candidates seeking election and it is important to segment and profile the target customers sufficiently and develop key messages for each segment. Profiling has been around for a long time: the margarine example shows how it was used in the past. But today consumers, organization buyers and voters have a plethora of messages targeted at them and through a broader than ever variety of media, so it is critical to be as precise as possible. Some of the best examples of profiling, such as soccer moms and NASCAR dads have been popularized as a result of their usage in US presidential election campaigns. In the mid-1990’s X/Open (now part of The Open Group) started using branding to promote the market adoption of open standards. The members of X/Open had developed a set of specifications aimed at enabling portability of applications between the UNIX® systems of competing vendors, which was called the X/Open Portability Guide, or XPG for short. The target market was the buyers of UNIX systems. The brand promise was that any product that was supplied by the vendors that carried the X/Open brand conformed to the specification, would always conform and, in the event of any non-conformance being found, the vendor would, at their own cost, rectify the non-conformance for the customer within a prescribed period of time. To this day, there has only ever been one report of non-conformance, an obscure mathematical result, reported by an academic. The vendor concerned quickly rectified the issue, even though it was extremely unlikely that any customer would ever be affected by it. The trademark license agreement signed by all vendors who used the X/Open brand carried the words “warrant and represent” in support of the brand promise. It was a significant commitment on the part of the vendors as it also carried with it significant risk and potential liability. For these reasons, the vendors pooled their resources to fund the development of test suite software, so they could better understand the commitment they had entered into. These test suites were developed in stages and, over time, their coverage of the set of specifications grew. It was only later that products had to be tested and certified before they could carry the X/Open brand. The trademark was, of course protected, policed and promoted. Procurements that could be identified, which were mostly government procurements, were recorded and totaled in excess of $50bn in a short period of time. Procurements by commerce and industry were more difficult to track, but were clearly significant. The XPG brand program was enormously successful and has evolved to become the UNIX® brand program and, in spite of challenges from open source software, continues to deliver revenues for the vendors in excess of $30bn per annum. When new brand programs are contemplated, an early concern of both vendors and customers is the cost. Customers worry that the vendors will pass the cost on to them; vendors worry that they will have to absorb the cost. In the case of XPG and UNIX, both sides looked not at the cost but at the benefits. For customers, even if the vendors had passed on the cost, the savings that could be achieved as a result of portability in a heterogeneous environment were orders of magnitude greater. For vendors, in a competitive environment, the price that they can charge customers, for their products, is dictated by the market, so their ability to pass on the costs of the branding program, directly to the customer, is limited. However, the reality is that the cost of the branding program pales into insignificance when spread over the revenue of related products. For one vendor we estimate the cost to be less than 100th of 1% of related revenue. Combine that with a preference from customers for branded products and everybody wins. So the big question for vendors is: Do you see certification as a necessary cost to be kept as low as possible or do you see brand marketing of open standards, of which certification is a part, as a means to grow the market and your share of that market? The big question for customers is: Do you want to negotiate and enforce a warranty with every vendor and in every contract or do you want the industry to do that for you and spread the cost over billions of dollars of procurements? 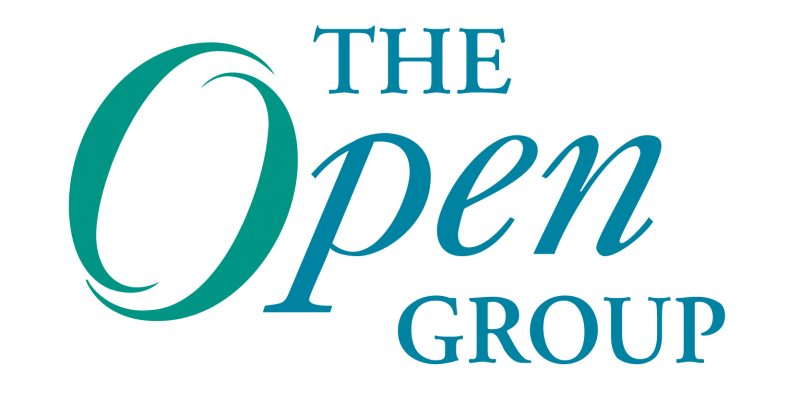 Allen Brown is President and CEO of The Open Group – a global consortium that enables the achievement of business objectives through IT standards. For over 15 years, Allen has been responsible for driving The Open Group’s strategic plan and day-to-day operations, including extending its reach into new global markets, such as China, the Middle East, South Africa and India. In addition, he was instrumental in the creation of the Association of Enterprise Architects (AEA)., which was formed to increase job opportunities for all of its members and elevate their market value by advancing professional excellence. This is an excellent summary of brand value; offering historical perspective, empirical information and unique insights into brands in general. It touches on The Open Group® brands as well, getting its start with Unix®, while laying the foundation for additional brands from The Open Group, which is where I will mention the Open Trusted Technology Provider™ Standard (O-TTPS) – Mitigating the Risk of Tainted and Counterfeit Products, one of the industry’s newest accreditation programs. The two salient questions Allen Brown poses at the end of his blog will certainly have a bearing on the success of this and any other potentially great brand.